It looks as if there is a little bit of movement on this NFL issue. I am still frustrated about it period, but oh well, that's what I have to deal with being a pro sports fans. Now I know why so many people like college sports. There is none of this "money" stuff involved. Also, I guess it helps to have gone to a school with a football team. I can totally get into the college basketball world, but I have yet to really follow college football. It would be hard for me to give up anything from my beloved Steelers though, so maybe I am at my max for football love. I wish that people wouldn't be so greedy. And I am not just talking about the players here. I think that the owners have a little bit of blame in this whole problem also. People should be glad that they have what they do, which is way more than a lot of people and be willing to spread it around. Anyway, enough ranting about that. It seems as if the Nats will have a place to call home in several years. Other than the decrepit RFK. MLB has signed off on the stadium lease deal. 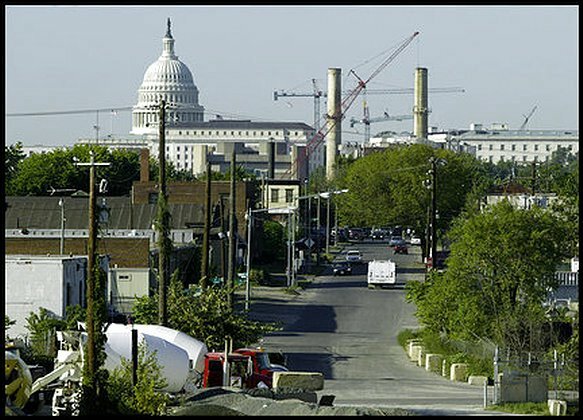 I think that this a great thing for the city, even though there are many people who live and own land in that area of DC that do not feel the same way. I think it will clean up that area of town that could be a great asset. I used to ride my bike past there on my way to work and I know think that it is a good spot. I am curious as to what the design will be like. Which way the diamond will be oriented and the views from the seats. The real question is, will I still be in DC by the time that the stadium is finished? ?